Brighten up your outdoor spaces with self watering planters and hanging baskets by Glasdon. Designed to preserve water, these innovative and attractive, outdoor flower planters can be rail or wall-mounted. Ideal for outside shops, schools and workplaces or businesses. Do Glasdon use sustainable materials? Complete with two large water troughs for maximum storage, these outdoor planters require minimal maintenance. The self watering feature ensures that little upkeep is needed to keep your flowers hydrated, resulting in attractive, blooming flowers. Select from a choice of hanging, rail-mounted or wall-mounted outdoor flower planters to integrate with any surroundings. 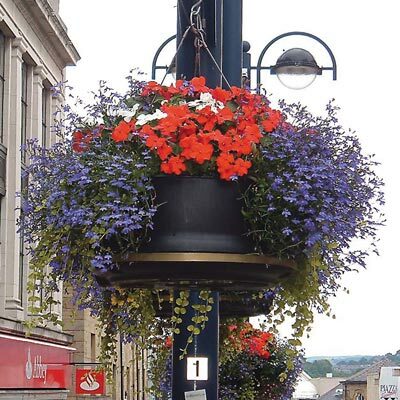 The self watering hanging baskets are ideal for positioning in entrances and doorways to brighten up your premises. 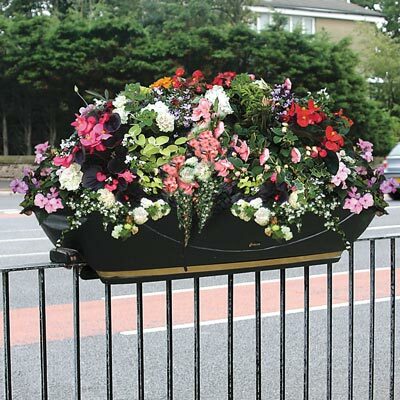 Alternatively, enhance the attractiveness of your community by rail or wall mounting your self watering outdoor planters around towns and in cities or pedestrianised areas. 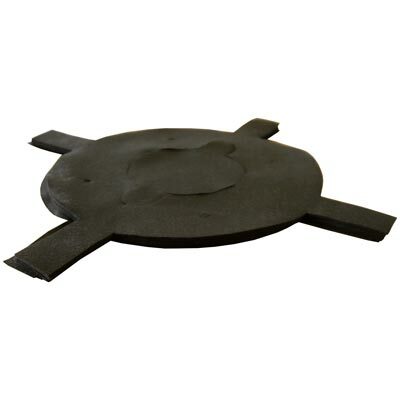 Our outdoor flower planters feature a Hygromat™ Capillary Matting to provide regular absorption for the plants to feed, helping to increase time between watering to reduce the frequent need to refill the water troughs. The self watering hanging baskets are manufactured using high-quality materials to ensure that they are both long lasting and weather resistant. Add a personal touch by customising your planter with a company name, logo or message using our personalisation service. Keep the area surrounding your self watering outdoor planter clean and tidy by siting an attracticve outdoor litter bin nearby. You can even accompany this with a traditional or contemporary styled seating solution to create an inviting rest area for your guests. View our extensive range of seats and benches to find the ideal solution for your environment.